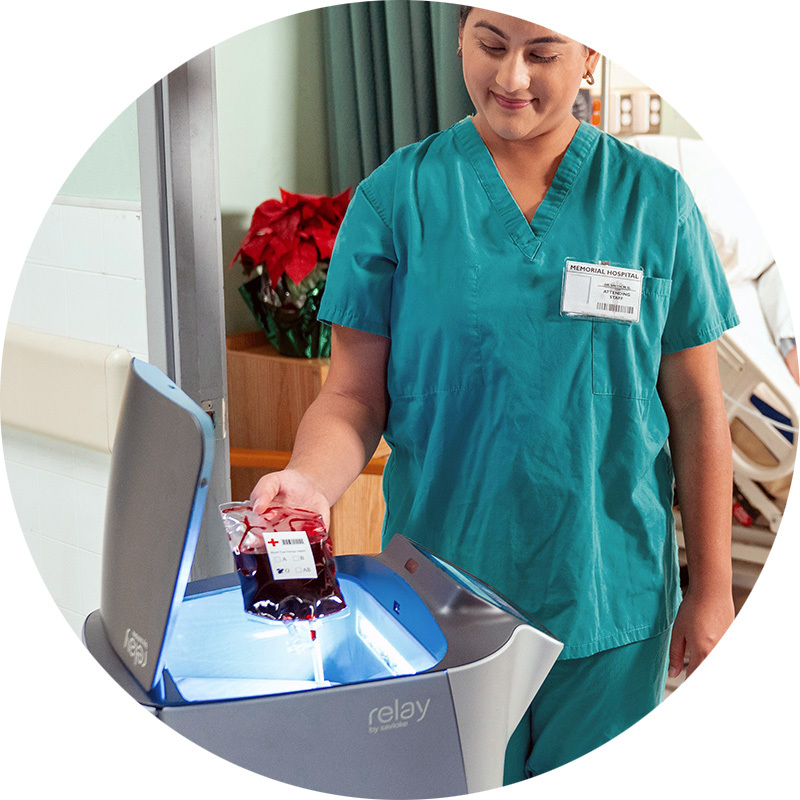 The Relay autonomous service robot provides secure chain-of-custody for delivery of medication, specimens and other items throughout the hospital 24/7. Reliable, friendly, and nimble, Relay navigates safely through busy public corridors and lobbies, increasing productivity and job satisfaction by taking over the dull, time-consuming task of delivery. Relay’s authentication options provide pharmacists with a verifiable trail for every medication delivered throughout the hospital. Additionally, sophisticated software and “Uber-like” maps show real-time delivery status while tracking and reporting delivery history. With lockable bin, smooth, trackable navigation and cleanable container, Relay provides a safe and secure option for delivering hazardous medications, controlled substances, blood and other items that can’t be sent through a pneumatic tube system. Hospitals can easily save hundreds of thousands of dollars in labor each year by letting Relay take over the time-consuming task of delivery, Relay also boosts productivity and job satisfaction by allowing skilled technicians to focus on more valuable work. From chemotherapy drugs to blood products, food to gifts, Relay's cleanable, secure, deep container accommodates delivery of the multitude of items transported throughout a hospital every day.